We had another fantastic Cunning Folk event on Friday, this time at the Atlantis bookshop on Museum Street. It was one of our favourite gigs of the year. 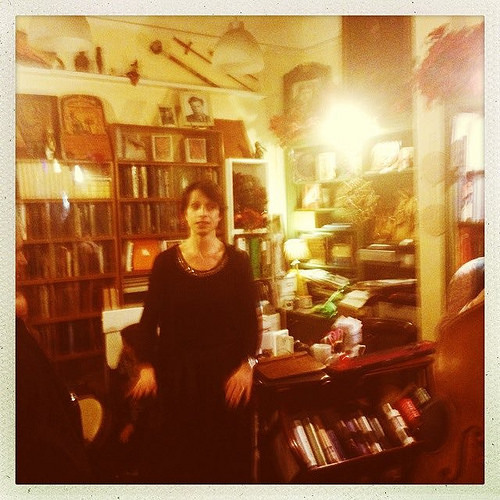 Plenty of mulled wine, esoteric poems, stories & songs. Nigel Of Bermondsey & his merrie band, Gentlefolk, sang some adaptations of Crowley & Graves poems & a few originals too. You can see them performing a song about Badbury Rings hill fort in the little video above. Vanessa from London Dreamtime gave a great seasonal tell which was appropriately magical. Vanessa will be back at Cunning Folk in April with folk & blues guitar legend Wizz Jones. Many thanks to Geraldine & Bali at Atlantis for looking after us so well! More Cunning Folk music & spoken word events are being sorted for the new year, starting with one on the 17th January on the Minesweeper in Deptford creek.